...lots of things to let you know about..
1) Cindy is kindly arranging a mini-bus to Farnborough craft show again this year - Saturday 28th February - If you would like to come please let me know asap so I can pass the list on to Cindy - We're not sure of exact price of bus yet but rest assured Cindy will keep the cost as low as poss. £5.00 non-refundable deposit to secure your seat. 2) Stampers 10 group - I'll be placing the first order on 1st Feb - I know some of you have put your name down on the list already but if you haven't & would like to be part of this years group please let me know. 3) WOW goodies can now be ordered through Sharni - her blog is HERE where you'll find pages showing all the WOW goodies available & her email address is sharni.matthews@btinternet.com - to get it at the 'trade' price we need to bulk our orders together - we're aiming to place one every month or so...we have a short list for a February order put together already so if you'd like anything please email sharni with your list. 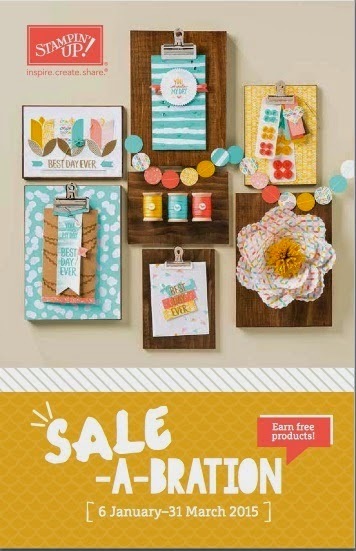 4) Stampin up Sale-a-bration is on now! 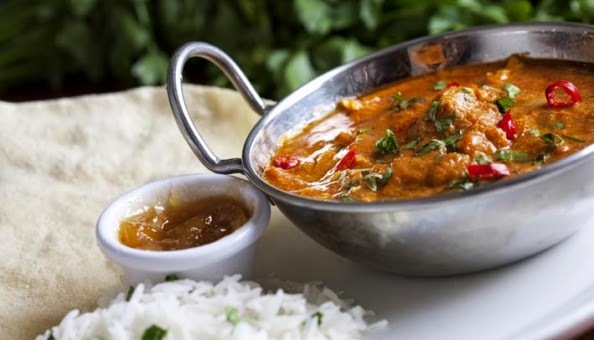 click HERE for more info - It's one of the best offers they run, for every £45 you spend you'll get a choice of FREEBIES (& there are some great freebies this year!). 5) Stampin up spring/summer catalogue is out now - so you fancy a look at some new goodies click HERE. 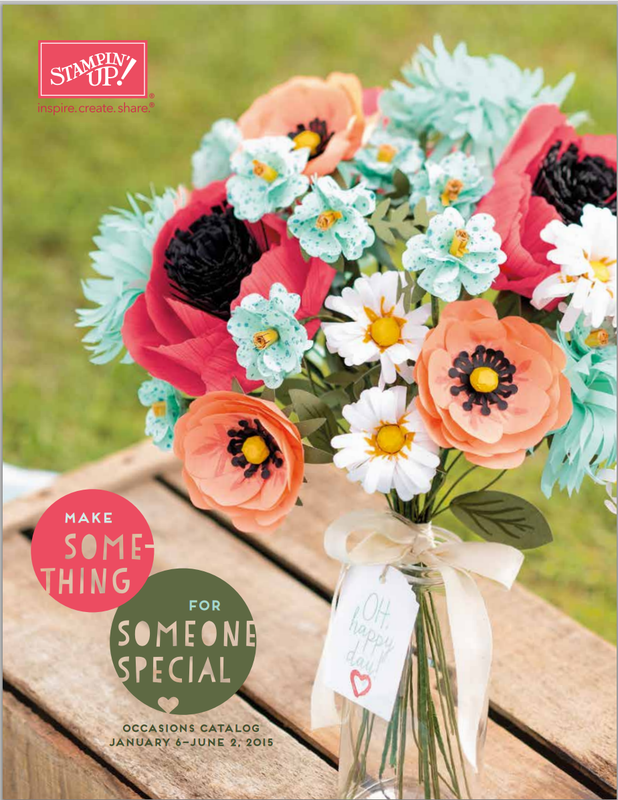 6) On the front cover of the Stampin up spring/summer catalogue there's a beautiful paper flower bouquet (pic above!) i'd like to do a full day workshop, where you each get to make your own bouquet using the kit & we have lunch - It'll be on a saturday (date to be confirmed) & will cost £30 per person including refreshments & carvery lunch - I think it'll be a fun day - let me know if you'd like to come along. 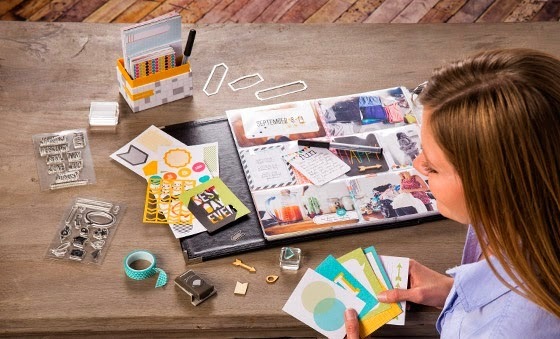 7) Monthly Scrapbooking / Project life club starts up again on 29th Jan - everyone who attends this club gets a 20% discount on ALL project life goodies ordered from the stampin up catalogue on the night.